In the old days when most people heard the word ‘designer’ they thought ‘expensive’, thankfully today things have changed. Today, designer items are still slightly more expensive than their generic and mass produced counterparts. That said designer items are at times more durable, easy to use, and more beautiful than regular items. However, the trick when purchasing designer homewares is knowing what to look for. In this article we will discuss a few tips which should help you purchase designer cutlery, cooking pans and tableware. Try to purchase fine bone china instead of regular china. Fine bone is more durable and often has a translucent effect along with bright whiteness. 50% of bone ash added to a standard china mix during the manufacturing process is what makes them look different and more durable. Usually china items made from bone ash are a lot thinner and whiter which makes them an excellent addition to your tableware collection. 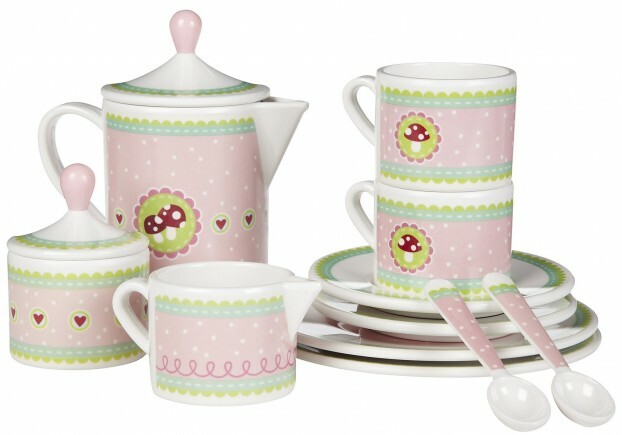 If you want something more durable than fine bone china then purchase designer porcelain wares. These are heavier and will not break or chip easily. When purchasing designer crockery your best bet is to purchase white. The color white mixes and matches with almost any other dinner set and so you can add some color to your table with a few pieces of designer crockery. When you’re in the market for beautiful cutlery you will also want to purchase items which are durable. Ideally, the cutlery you purchase should be heat resistant so that they continue to look shiny and new for years to come. The best designer cutlery mostly consists of 18/10 stainless steel with around 18 percent of chrome for added protection against corrosion. Some mixes also include nickel which makes the cutlery heat resistant. You should avoid silver plated cutlery because even though they are corrosion resistant they do become tarnished. If you happen to purchase these they need to be washed separately from regular stainless steel and stored in a safe anti tarnish roll. Some designer cutlery is made from sterling silver or is sterling silver plated. These are more expensive than regular cutlery but they are easy to clean and last a very long time. It is important to only purchase cooking pans and pots that come with firmly riveted handles. Ideally these handles should be padded so that they remain cool. Designer pots and pans are often made from anodized aluminum which is really hard and durable. This material also has a natural nonstick coating which is far better than chemical coatings. While standard stainless steel pans last a long time and don’t rust easily you should only purchase pans with an 18/10 gauge or higher. If you want something that can easily go under the grill or into the oven purchase tri-ply pans. These are made from multiple layers of aluminum which is bounded by steel. Designer variations of these pans usually come in different shapes and colors. If you want something than can heat fast and then cool quickly purchase copper pans which have been lined with stainless steel. However, you will have to polish these pans every other month to retain their shine and color. If you are purchasing designer pans make sure to read the label to find out if they are dishwasher safe. Those that are not will be damaged in your dishwasher. Designer items for the home are designed to be unique, durable and at times offer something different from their regular counterparts. However, always do some comparison shopping prior to purchasing designer ware. That said at times some online stores may label regular wares as designer so always make your purchases from reputed online or offline stores. Manu is an experienced interior designer and blogger. He is the go to guy for information on designer homewares, furniture and decorative accessories.